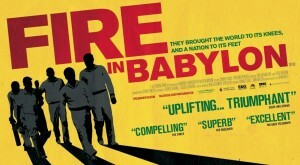 20th May – Out Now in Cinemas! You don’t need to be a sports fan to enjoy this compelling documentary about the golden age of West Indian cricket. Saying as much about the racial attitudes of the 1970s and 80s as it does about the sport itself, writer/director Stevan Riley’s eye-opening history lesson combines exhilarating archive footage with fascinating interviews to examine how a once failing team became one of the greatest of all time. Boasting remembrances from the likes of legendary player Viv Richards, and a cracking reggae soundtrack, it’s a story of terrifyingly fast bowlers, brilliant batsmen, unwavering determination, and above all black pride. Together, these elements not only made the West Indies squad unbeatable, but also struck a blow for racial equality during a turbulent era of apartheid and race riots. Fascinating Fact: Although the finished story is told strictly from a West Indian point of view, director Stevan Riley interviewed a lot of players who competed against the team, as part of his extensive preparation work. This documentary tells the story of the famous British hairdresser Vidal Sassoon. You probably know his name from a shampoo bottle, but this remarkable man not only created one of the world’s most enduringly stylish haircuts (“the bob”), he also fought against fascists in London’s East End. Perhaps the most interesting sequences of the film are those which look at his early life, growing up in a London orphanage. 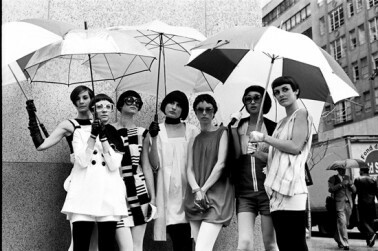 This is recommended viewing for anyone interested in fashion history, particularly the fads and trends of ‘swinging’ sixties London (it features interviews with, among others, Mary Quant – pioneer of the miniskirt and hot pants).